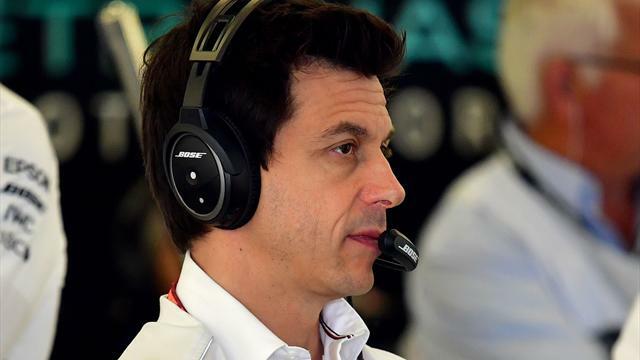 Rule changes could give every Formula One team a chance to pull off a surprise next season, Mercedes team boss Toto Wolff said on Friday. Speaking ahead of the governing FIA's awards ceremony in Russia, the Austrian told reporters he felt "everything is possible". "It is almost like 2009 where Brawn identified the double diffuser. I think there could be teams that have found loopholes, that others didn't spot, that could make the difference," he said.
" So we are taking everybody seriously. Whether it is Ferrari finishing second this year, or Williams finishing 10th. All of them could come with a car that can outperform us." The rules are being tweaked for 2019, with aerodynamic changes aimed at making it easier for drivers to follow cars and battle on track, ahead of a more substantial overhaul planned for 2021. Mercedes have won every championship in the V6 turbo hybrid era that started in 2014, with Ferrari and Red Bull the only other teams to win races. Former champions Williams scored just seven points from 21 races this season, despite using Mercedes engines, and finished last overall. The team have not won a race since 2012, with their most recent title in 1997. Next season they will have Mercedes-backed British rookie George Russell, the Formula Two champion, as one of their drivers along with Poland's Robert Kubica. Brawn, the team that was Honda and is now Mercedes, stunned Formula One in 2009 when they produced a winning car only months after being threatened with closure following the Japanese manufacturer's withdrawal.